You said “Yes!” Congratulations! Once you have spent some time reeling in the thought of planning a wedding with the one you love, shared the good news with all of your family and friends, and thought about who the maid of honor will be, it’s time to get down to business and find a wedding venue! One of the first tasks that should be completed when planning a wedding, it’s also one of the more important decisions. There are a lot of factors that go into making this decision, so Alegria Gardens is here to help. 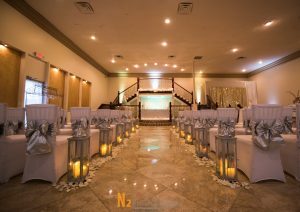 Our event hall is an elegant and beautiful space that you will love saying “I do” in. Before you sign a contract and start designing your grand wedding, make a budget. This is definitely not the most glamorous step of planning a ceremony, but it is incredibly important. No one wants to be spending years after their wedding paying off credit cards. 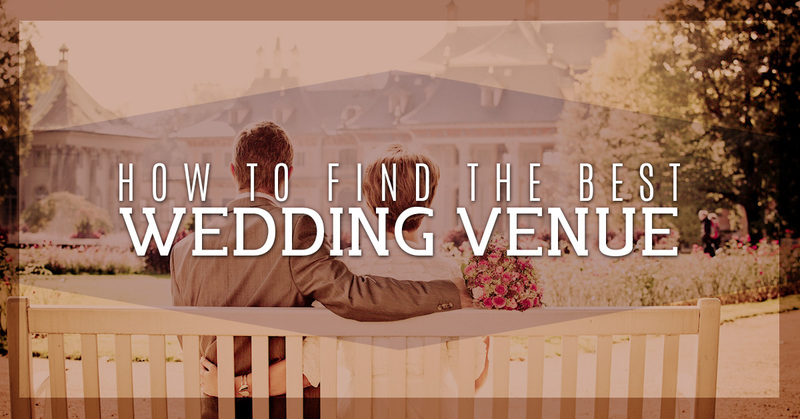 So make a budget and find a venue that fits your needs. Also, make sure you’re considering paying for a DJ, a caterer, and photographer as well. Unless you choose an all inclusive wedding venue that provides all of these services in one very handy package. Capacity: How many people can the event hall hold? If it’s on the small size and you’re planning a big wedding, that could pose a problem. Availability: If you have your heart set on May 20th for a wedding date, the venue needs to be available on that day. Type: Is it a hotel, restaurant, outdoors? Layout: Is there a dedicated space for an aisle? Is there a dance floor? Space for the reception? Rates: Does it fit your budget? Restrictions: Is the venue only open until 10 pm and you want a dance all night wedding? Parking: If you are planning a big wedding, will there be space for guest’s cars or will public transportation be needed? Extras: Is it an all inclusive venue that provides a caterer, music, tables, and chairs? Or will that be an extra cost? Caterer: Is there an in-house caterer that you’re required to use? It might be a good idea to jot down a rough estimate of guests before browsing wedding venues. If you start by saying it will definitely be a small wedding and the time comes to send the invites and you realize you just needed to have all of your second cousins, aunts, uncles, and friends of friends, the venue you reserved may not be large enough. According to The Knot, between 10 and 20 percent of invites will be declined, but you can’t always rely on people not showing up. This is a big one because there can be a lot of “what if’s.” With an outdoor wedding there will always be the worry of poor weather, an indoor venue there could be a worry about space, a city location there will be a worry about transportation and parking. If the location is on the remote site, will your budget fit in the expense of hiring a shuttle? Or will guests get themselves to the location? In the end, if you absolutely love the space, then it is the right one and everything will work itself out. However, be aware of common road blocks. Above all, planning your wedding and the big day itself should be full of fun, memories, romance, and more fun! At Alegria Gardens, our wedding venue has everything you could need. 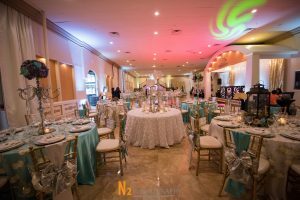 An elegant space that will hold as many guests as you need, an in-house caterer, transportation, music, and more. We drew our inspiration from Paris so your day will be more than just a simple wedding. We also have the experience to design a beautiful event that will wow each of your guests. Work with our dedicated wedding venue designers and you’ll see how easy and affordable it can be to plan an incredible wedding. Call us today to start planning your special day.